next up we have one of our car hire suppliers, a great vintage extra for your special day! Are you looking for a totally unique and fun car to take you to your wedding or reception venue? Something quirky, something different – hey, it could even be your ‘something blue’! I’m Suzanne and I own Florence the Fiat 500, she could be perfect for your big day. Extensively restored about five years ago, this little car was resprayed in a classic vintage light blue – I even asked the garage to colour match to a Dulux paint colour! Hopefully your special day will have glorious sunshine so that the roof can be opened – relive la dolce vita! Inside, the original seats have been reupholstered to our exact specifications. They have been re-cushioned to make your journey more comfortable, and we’ve picked a classic cream colour with blue piping to match the exterior. I was approached by Fiat 500 Hire a couple of years ago to join their nationwide network of Fiat 500s available for hire. 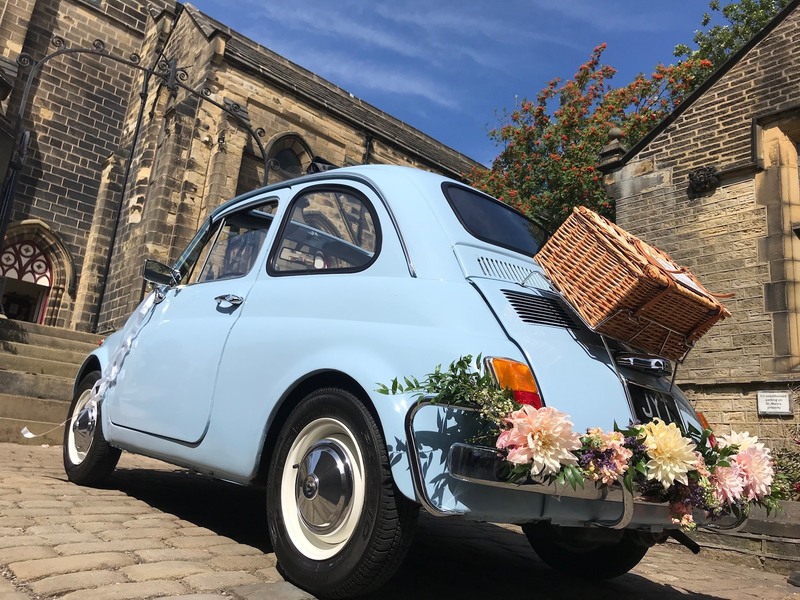 Since then, I have been commissioned to do a private corporate event for Pizza Express and after doing a wedding in the beautiful Yorkshire town of Honley last year I decided to launch my website, Vintage Fiat 500, to showcase some of our photos. Florence turns heads wherever she goes, whether it’s from people nostalgic for the little car they remember from when they were kids, or admirers keen to know more about a classic from the past. 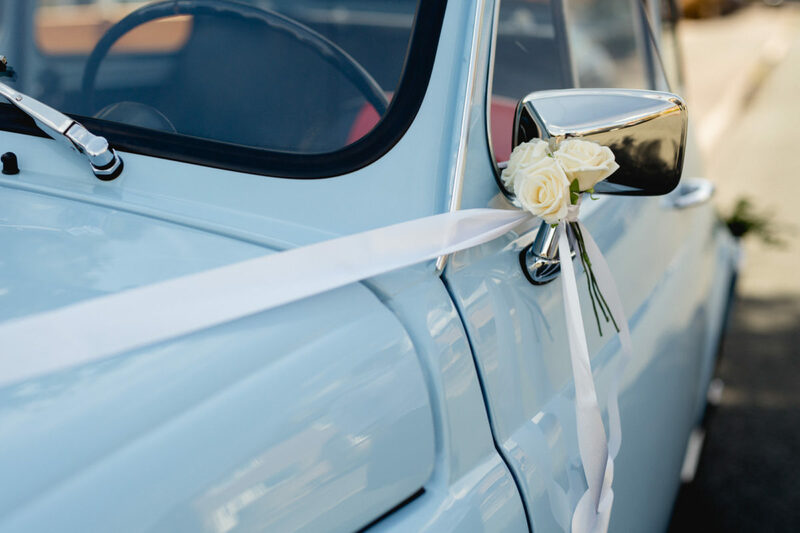 I’m looking forward to meeting you at the Urban Wedding Company's Manchester fayre and I’d love the opportunity to be a part of your wedding plans – and do check out my Pinterest boards for loads of ideas on how to decorate a wedding car!